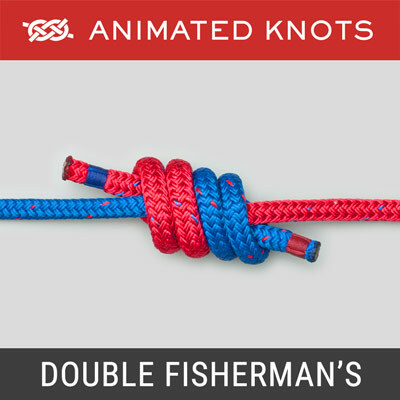 With the rope round your back, hold about half a meter of the short end in your hand. Hook the standing end with your thumb to form a loop around your hand. Pass the short end round the standing end and pull it back through the loop. 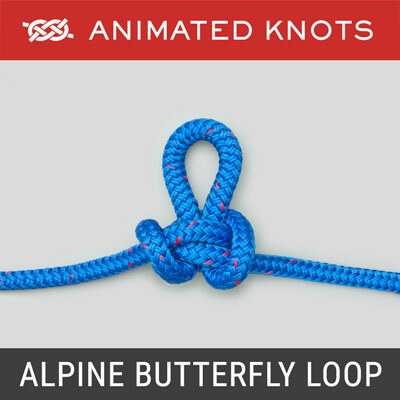 Secure the end with an overhand knot to the loop. 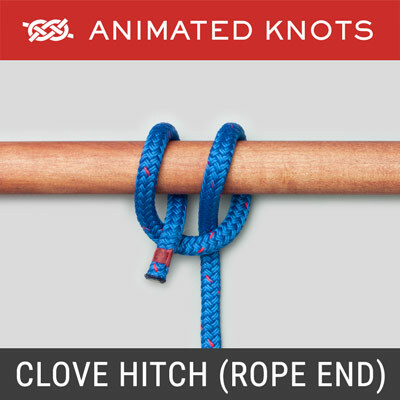 The animation illustrates the climber's viewpoint with the rope passed round his/her back. 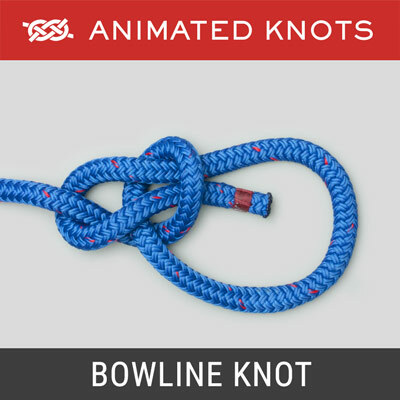 Because a bowline can shake loose, it is completed with a final overhand knot tied to the loop of the bowline. 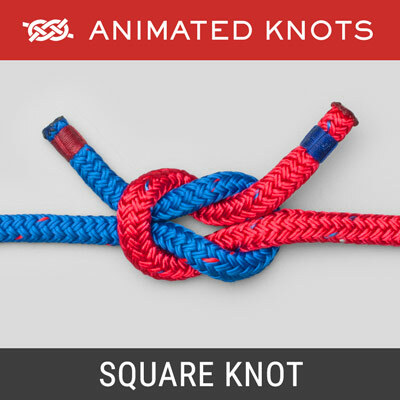 Caution: a sudden strain while tying this knot could trap your wrist. For this reason, it is safer to form the loop around your hand rather than risk the whole wrist. 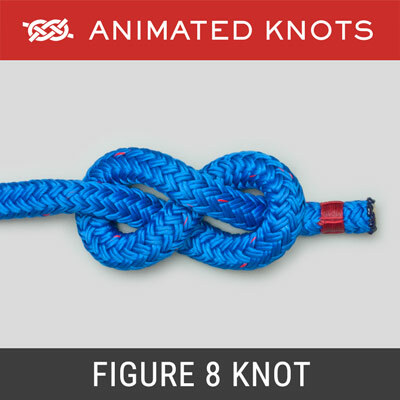 Alternative Stopper Knots for the Bowline: to see more details about the bowline as well as other methods of securing it, see the Bowline Page.